The assets you own and the debts or liabilities you have determine your net worth. Assets might include cash, savings, stocks, bonds, retirement accounts, real estate and anything else of value such as cars or collectibles. Liabilities might include a mortgage, student loans, auto loans, bills due and credit card debt. Consider calculating your net worth annually by adding the value of all your assets and subtracting your liabilities. This can help you keep tabs on your overall financial picture. Tip: If you’re just out of college and have a lot of student loan debt, you may have a negative net worth. That’s not necessarily bad. It just means you have some work to do. Once a year, think about your short-, medium- and long-term goals. Are each still relevant? How much does it cost? Are you on track to meet them? Some long-term goals, such as traveling in retirement, may not change substantially year to year. Short-term goals, such as paying off a credit card bill, and medium-term goals, including saving for a house, may change more frequently. You might decide to reevaluate those every three to six months. Your credit report contains information about the status of your credit accounts and your bill-paying history. A good credit score is critical to qualifying for loans at the best possible rates. The Consumer Financial Protection Bureau (CFPB) recommends checking your report at least once a year to make sure it is up to date and correct. Plus, the CFPB suggests an extra check before applying for loans for big purchases like cars and houses. There are three major credit reporting agencies: Experian, Equifax and TransUnion. You can ask for a free credit report from each of them every 12 months. When you open a retirement account or buy an insurance policy, you’ll probably be asked to name a beneficiary—the person who would collect from the account in the event of your death. Marriage, the birth of children, divorce and death can affect your choice. Typically your spouse is your default beneficiary, but you also may wish to designate children or someone else. Though designations likely will not change often, it’s still a good idea to check your elections yearly to make sure they’re still appropriate. It’s important to make sure you have enough set aside to pay your tax bill well before April 15. The amount of federal income tax you owe each year depends in part on your tax bracket. For example, in 2015 single filers with taxable income of more than $9,225 and up to $37,450 are in the 15 percent tax bracket, but many factors affect the final amount of federal income tax you owe in any year. In most cases your employer withholds taxes from your paycheck. You should ensure that enough is withheld to cover your tax obligations, including state income taxes, if applicable. If you are self-employed, however, you will likely need to pay an estimated amount of tax instead, usually on a quarterly basis. Tip: Each fall, when you still have time to make adjustments before year-end, consider checking the amount you’ve set aside for taxes against last year’s tax forms. It is likely your investments, whether in retirement plans or taxable brokerage accounts, consist of mutual funds that hold various kinds of investments. Consider checking quarterly, in January, April, July and October, to make sure your selections are appropriate for your age and financial goals. About once a year it’s important to assess the type and amount of insurance you need. If you rent your home, you may want to consider renters’ insurance to protect your belongings. When you buy a home, you need homeowners’ insurance. Your policy should cover what it would cost you to rebuild your home—which is often more than your home’s face value—as well as the current price of replacing your household items. You also may want special coverage for valuable items such as jewelry or artwork. Your insurance agent can help you assess whether you have the right type and amount of coverage. Tip: If you have dependents, you may wish to consider life insurance, which in the event of your death would pay them cash to help make up for the loss of your income. You might also consider disability insurance to replace a portion of your income in case you become ill or are injured and unable to work. 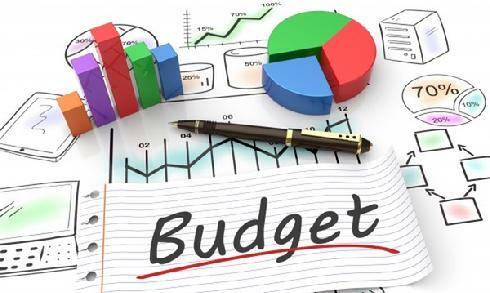 A budget helps you gain control of your finances. 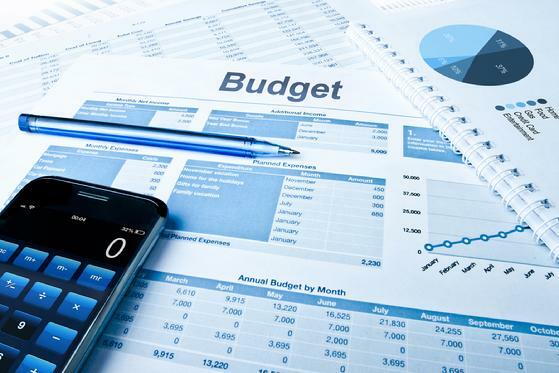 Think of a budget as a financial roadmap. It will guide you to your destination. It will also reduce arguments and improve relationships because you and your family will know where you are going financially, providing a smoother ride along the way. Budgeting helps you achieve goals. Whether it is putting money aside for emergencies, a vacation or a college education, a budget helps you devote resources to those things that you determine are most important. Having a plan also promotes well-being and reduces stress. A good budget keeps you honest. Documenting purchases allows you to identify the leaks in your budget because you weren’t keeping tabs on where the money was going. Do you spend a few dollars each day on coffee? Do you pull cash out of your wallet or purse without any thought? It’s so easy to take $50 out of the ATM and just spend it. By keeping a budget, each dollar you spend is accounted for. That’s a powerful incentive to stay honest. Budgeting helps improve habits. What you measure, you can improve. If you spend more than you earn, you will drain your savings. And, if it continues, you will take on debt. Are you $100 away from going underwater? $500? $1,000? By measuring, you will know for sure and take the steps necessary to improve your habits. Budgeting helps you avoid debt and improve credit. By truly understanding how much it costs to be you, you can make adjustments to stop living from paycheck to paycheck. You may be able to identify ways to get out of debt and stay out of debt. By paying your bills on time and not taking on too much debt, you will take the most important step toward building good credit. So, a budget just might be the way to go!